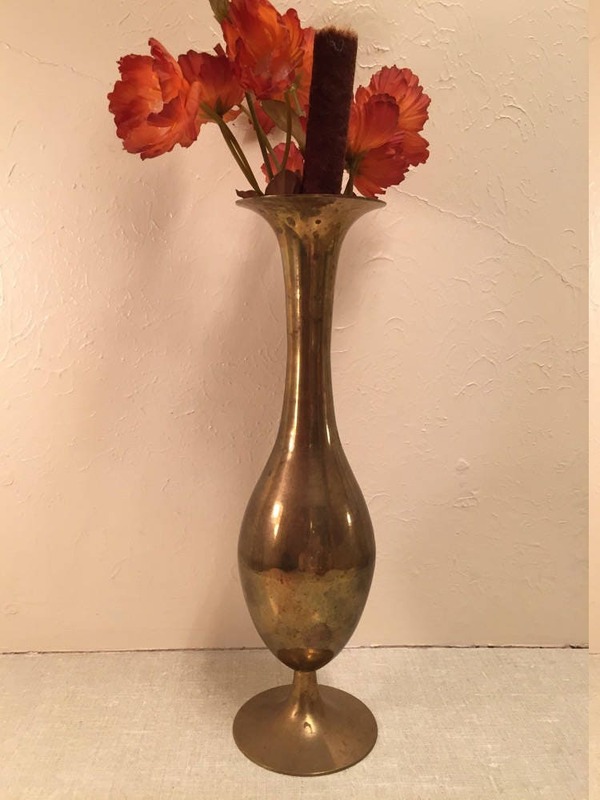 1970's brass flower vase or bud vase. Made in India. Looks nice on a mantel, hall table, dresser or night stand. It was used with dried flowers. **Better photos coming SOON! ** Listed on 1-30-18. ❉ Condition: In good vintage condition. Has some tarnishing, needs to be polished.